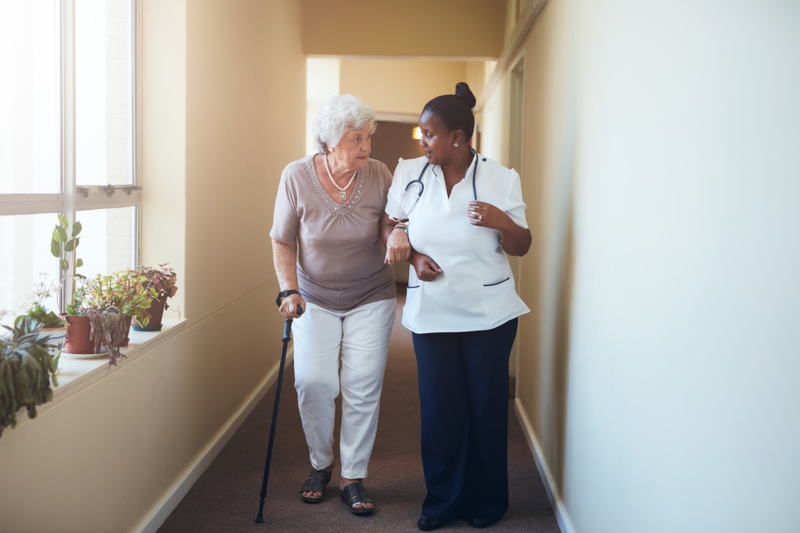 Caring for Elders with Brain Injury: The Proactive Help | West Coast Nursing Ventura, Inc.
Falls can be really frightening for elders as it may bring broken bones and brain injury. In the first part of this series, we have explained the increased chance of serious falls for elders. Knowing how to prevent a fall would greatly benefit their health. However, if a fall does occur, you have to make use of brain injury support available for the patient. Older adults age 65 and up are twice likely to be hospitalized due to a fall. Nevertheless, West Coast Nursing Ventura, Inc., a trusted source of home health care in Hillcrest Drive Thousand Oaks CA, has prepared these ideas on how you can help your elders. With the doctor’s approval, your in-home caregiver can include recreational activities as forms of exercises in their recovery plan. Their muscles weaken over time especially if he/she is constantly sitting or does not move. Walking is one good example of an exercise most elders are encouraged to do. Clutter can be a surefire recipe for a fall so that is why very often, falls can happen on the flat ground. It is highly important to ensure the home environment is free from toys and clutter. Rolled-up and loose rugs can also be good sources of tripping. Some of their medications might cause drowsiness which would bring them to slip or fall unintentionally. Check if their medications have side effects if this is the case. Drowsiness makes them more susceptible to falls. With the right support from the family members and caregiver, they can learn to adjust and lead fulfilling lives. You should seek professional help if behavioral problems become too much for you to manage. Also, never forget to contact your physician for any medical step that you take especially when changes occur in your loved one’s mental, physical, and emotional being. In addition, listen to their complaints about bad smells or taste, restless pacing, and hallucinations for they are indications of a silent seizure. Recovering from a brain injury involves a lot of factors such as the age of the patient, their general health before the injury, and how long it has been between the injury and the first medical treatment. You might want to call a rehabilitative specialist in a quality provider of home health care in Hillcrest Drive Thousand Oaks CA. Nonetheless, a brain injury calls for immediate action. It should receive proper and timely medical attention to have a much better chance of a happy and healthier outcome. Call West Coast Nursing Ventura, Inc. today and let your elder experience the benefits of home health care in Hillcrest Drive Thousand Oaks CA! This entry was posted in Home Health Care and tagged Home Health, home health care in Hillcrest Drive Thousand Oaks CA, Physical Therapy. Bookmark the permalink.